Don’t miss one of the region’s largest food truck competitions! 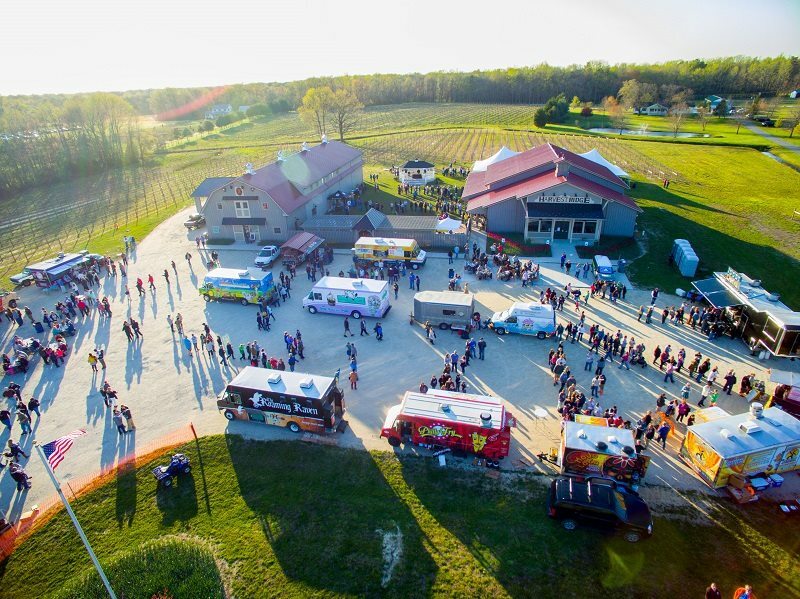 Twenty of the most popular trucks in the area will be duking it out over two days to vie for your vote!In addition to wine, cider, and some of the best food around, there will also be live music and a Kid Zone – making this a fun activity for the whole family! A portion of proceeds benefits local veterans through the Disabled American Veterans organization and the Hero Hunts Foundation. Tickets are $15 for one day, or $20 for a weekend pass and include access to the food trucks, live entertainment, a logo glass and one drink ticket. There is also a non-drinking ticket available for $10. Tickets are available at www.eventbrite.com/e/harvest-ridge-food-truck-competition-2019-tickets-55283710065.